Have you ever thought that you would become a famous Hollywood star and be many fans? If you have such thoughts, then join KIM KARDASHIAN: HOLLYWOOD to make your dream come true. This is a role-playing game that is a lot of people love, although not new to the gameplay but this game has a lot of unique and new. It allows you to live virtual in a world of famous Hollywood stars. What do you need to do to become an A-list star? To find out that invite you to refer to some interesting information below. 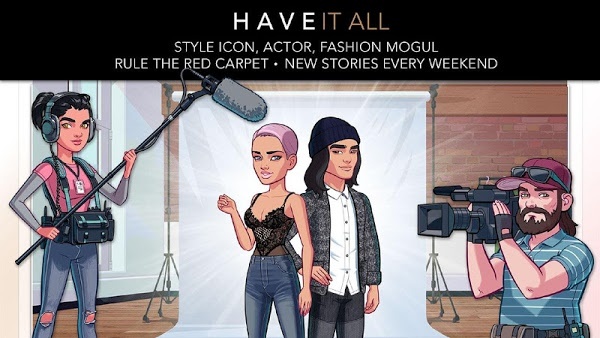 Glu is known as a famous game publisher from San Francisco. Over the years, their success has come primarily from mobile games. If you are using the Android or iOS operating system, you can try some of their games such as CONTRACT KILLER: ZOMBIES, KENDALL & KYLIE, CKZ ORIGINS, Wedding Dash, BLOOD & GLORY: LEGEND, TERMINATOR GENISYS: GUARDIAN and especially Racing Rivals is not as inferior to Gameloft’s Asphalt series. When you participate in the game, you will build a character that you love, and role plays it. To enter the world of Hollywood stars and become a Grade A star, you need to fulfil all the quests the game has to offer. You will have to do things like other famous stars such as stepping on the red carpet, luxury shopping, fan meeting, attending high profile events. From an unknown artist, not to be known, you will become a famous A-list star and have many fans. Your name is always welcomed by many journalists. However, to achieve this, you have to go through tough times, struggling and find ways to get the place in the world of flashy showbiz. 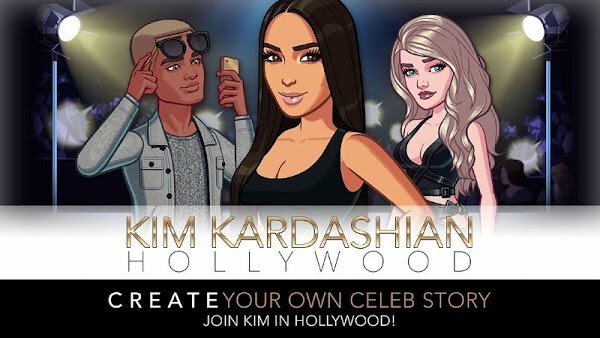 Just like some games before KIM KARDASHIAN: HOLLYWOOD will also create a lot of fun places to play. It can be a dance hall, bar, shopping centre where celebrities frequented. Or maybe travel to Miami or New York City. It is a very dynamic and colourful life. When you participate in the game, you will often meet and talk to the A-list in the entertainment industry, along with the journalists, photo hunters, passionate fans. You will enjoy luxury life and class in the showbiz world. Is it an exciting and unique game? 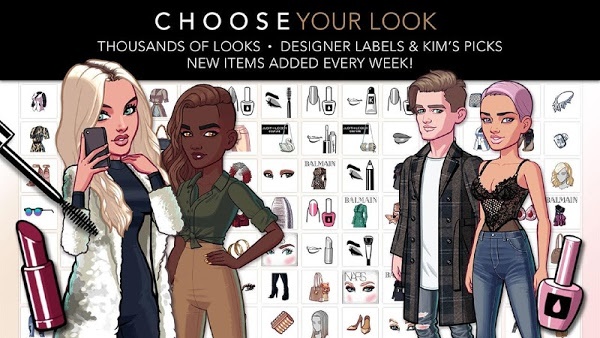 KIM KARDASHIAN: HOLLYWOOD MOD not only brings players many exciting features but also creates a very comfortable and attractive playground. Players can also invite more friends to join them, and they will help them become more famous. If you want to break into Showbiz, then do not hesitate to join this game to make that happen. If you are wondering whether the graphics of this game are excellent? I will have the answer always for you. The graphics of “KIM KARDASHIAN: HOLLYWOOD” are perfect, even though it is the only 2D, but the art that it brings is awe-inspiring. You can see that Kim Kardashian is drawn in much the same way as in real life. From the costumes, thick sandals are designed meticulously. Yay!!! It works!!! Thanks so much!! It works with/without OBB ?? Why is it harmful to devices? Where is the new update?? ?